Hello everyone , hope everything is going well . 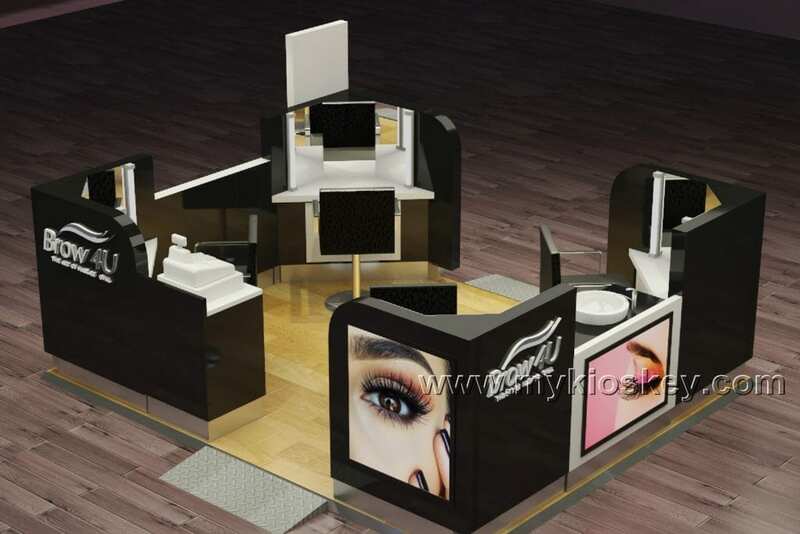 warm welcome visit this page , as we know salon furniture is more and more popular in around the world , like manicure , eyebrow threading , teeth whitening . today i wanna introduce a luxury eyebrow threading kiosk export to UK . let’s see more detail at below . 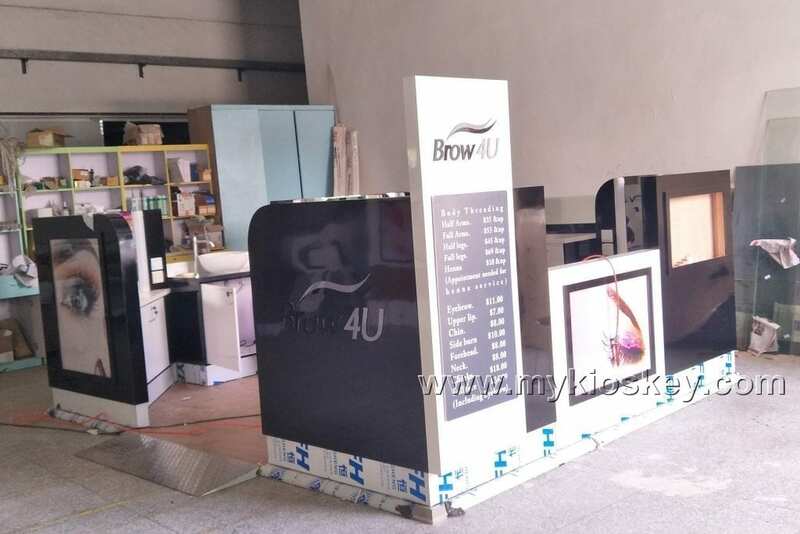 1.More introduce about this eyebrow threading kiosk . You can see this kiosk layout is very simple and modern , basic tone is black , match some white . very high end , basic material is MDF , surface is baking painting finished . you will notice the kiosk four corner with eyebrow threading station , also with a small hand sink . 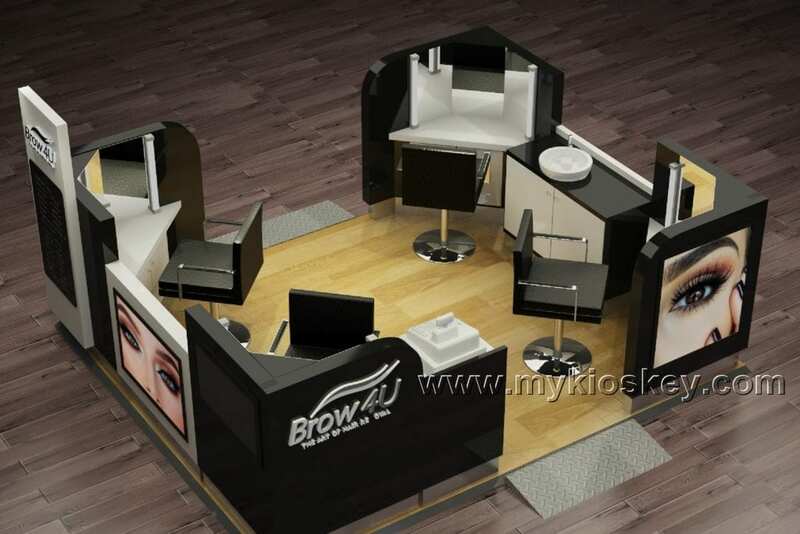 Item : eyebrow threading kiosk . Material : MDF. man made stone . 3. 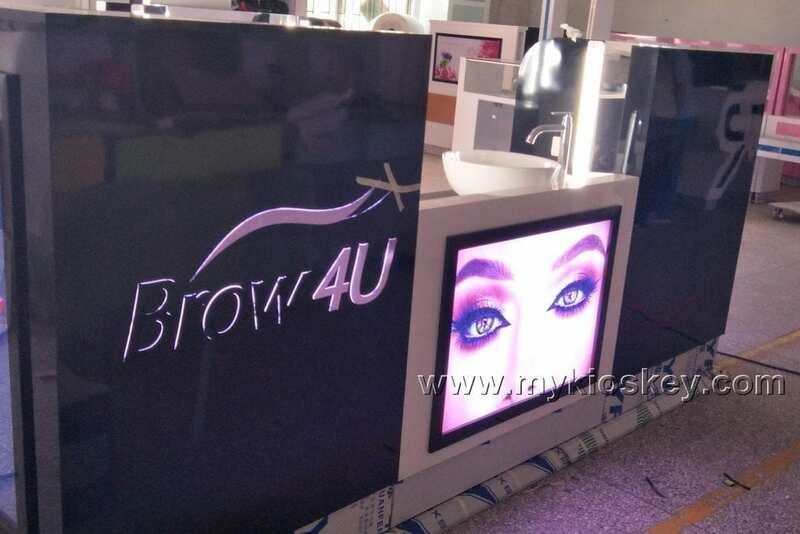 How can i customized a eyebrow threading kiosk like this one ? If you plan start your mall salon kiosk business , below is some necessary step . Thanks for your time and reading , if you need more further info about this eyebrow threading kiosk , pls feel free to contact us , thank you !